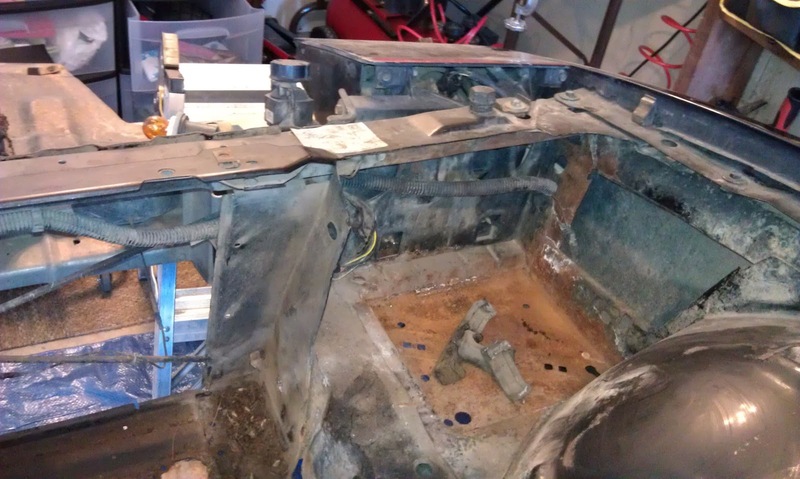 This afternoon I worked on removing the rest of the wiring harness. 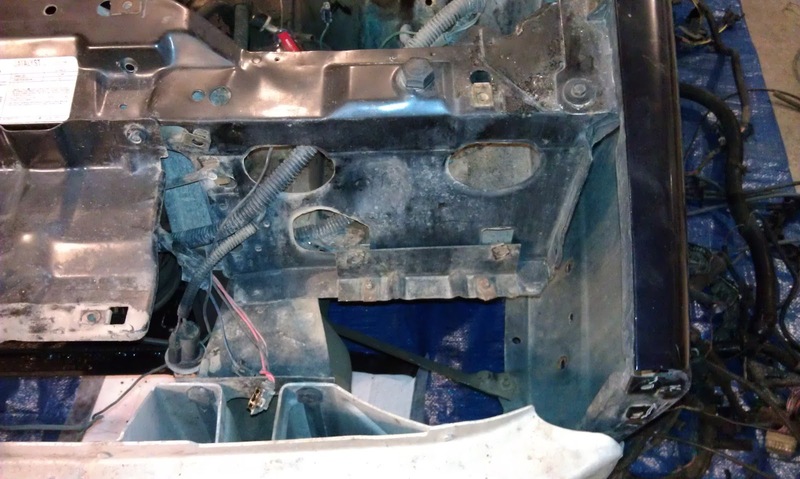 Basically all that was left was the headlight harness. 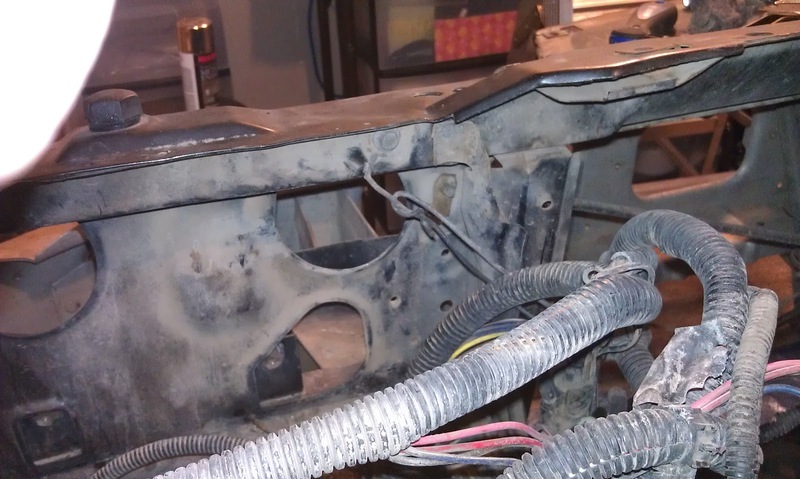 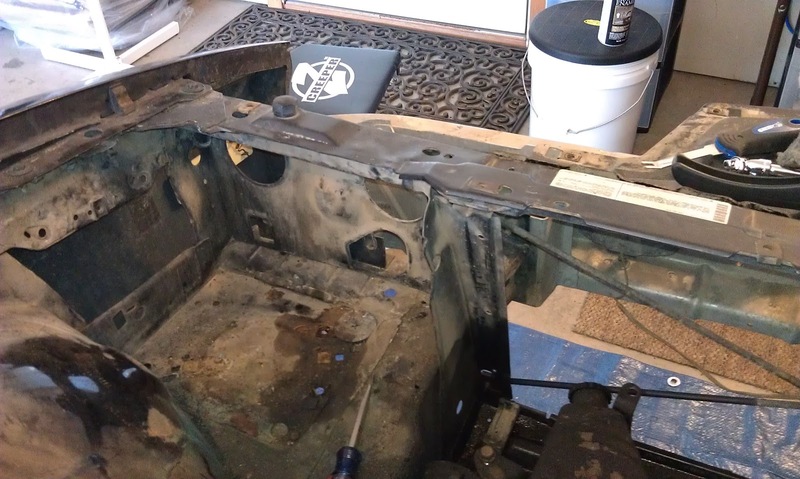 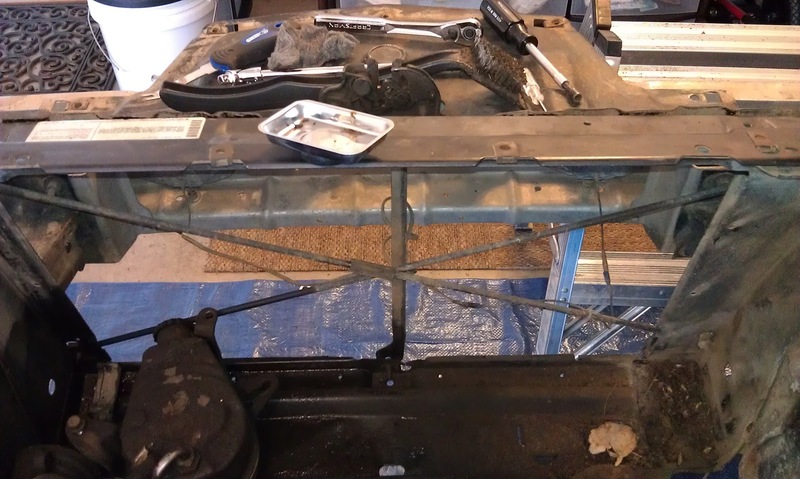 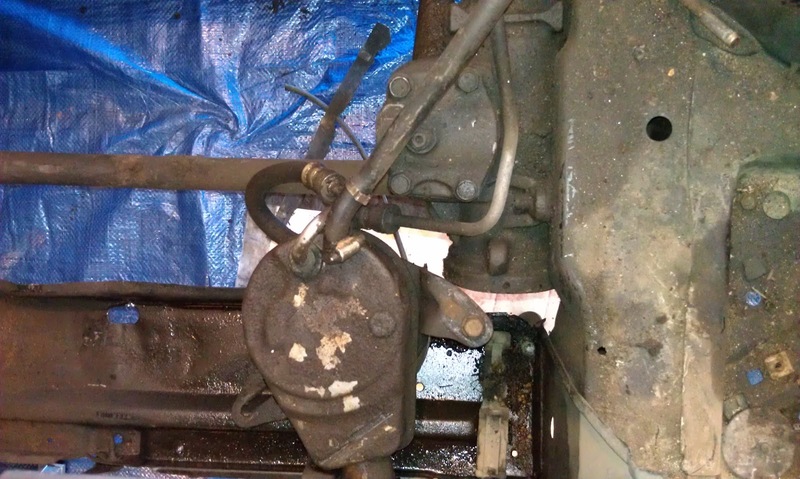 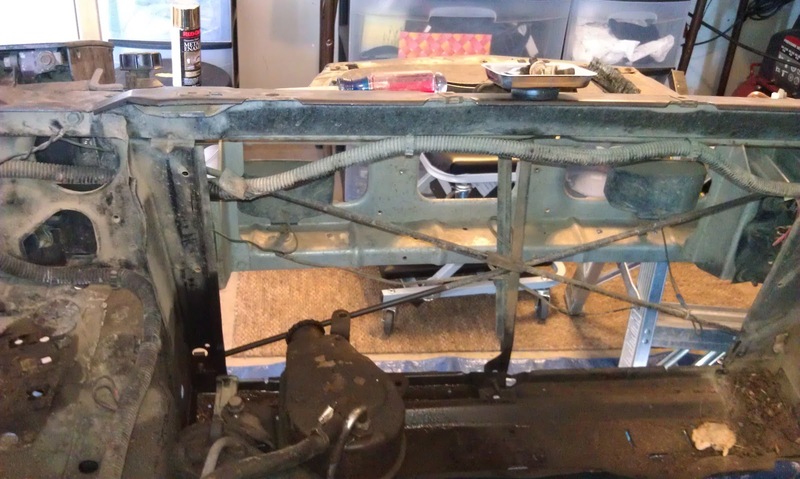 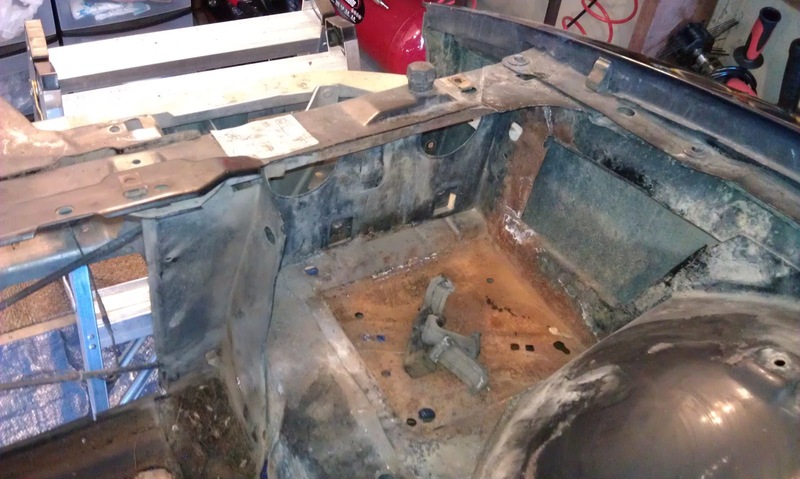 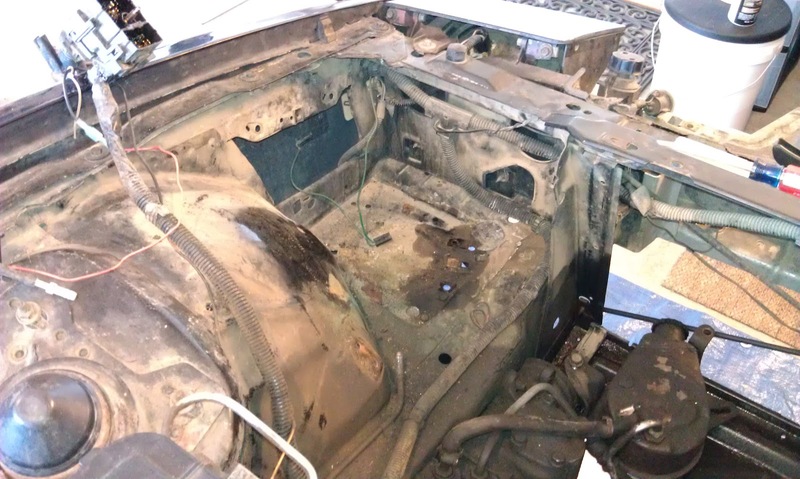 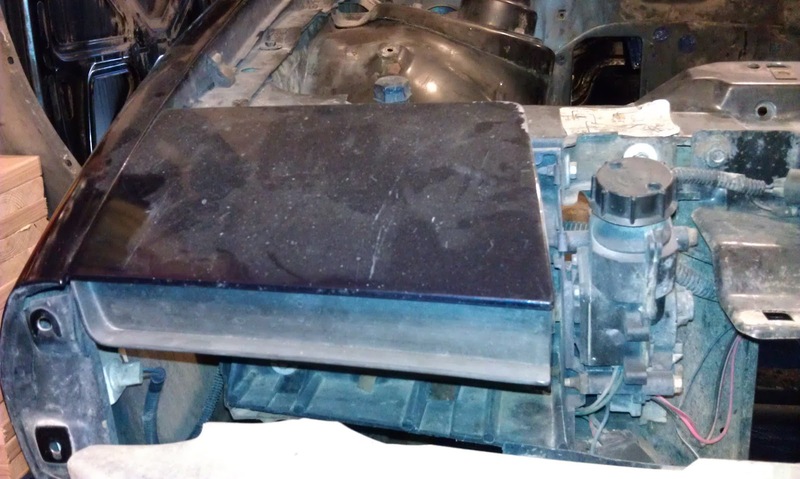 These three pictures show how the headlight harness was routed. 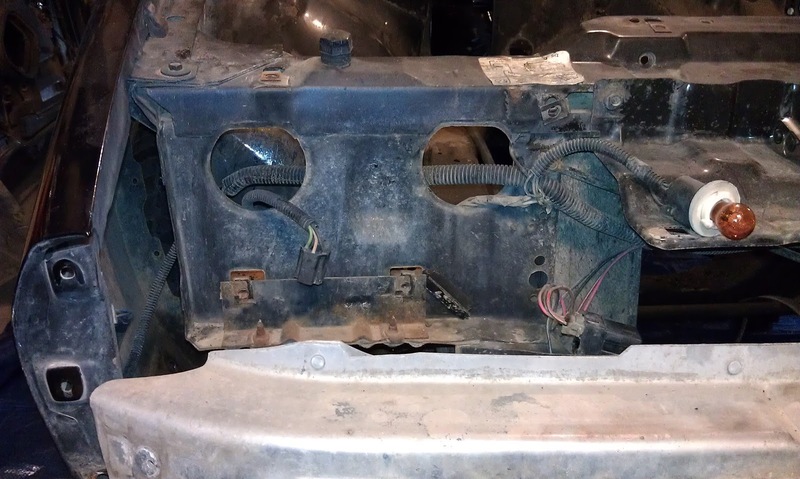 I had to remove the headlights in order to unplug the wiring and to allow the wiring to pass through the holes in the front of the frame. 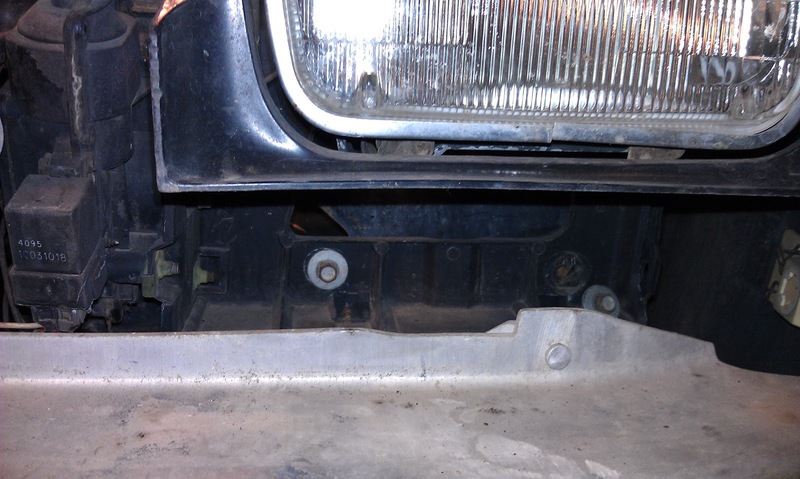 There were four screws per headlight and I took the light and motor assembly off in one piece. 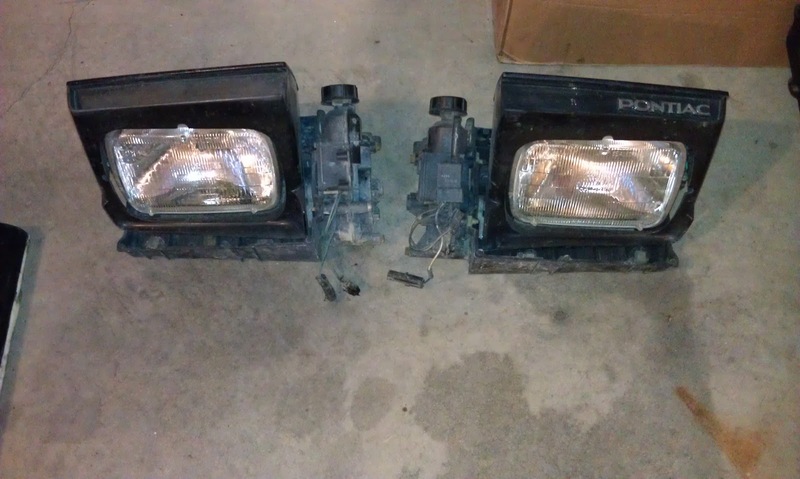 I repeated the same process for the passenger side headlight. 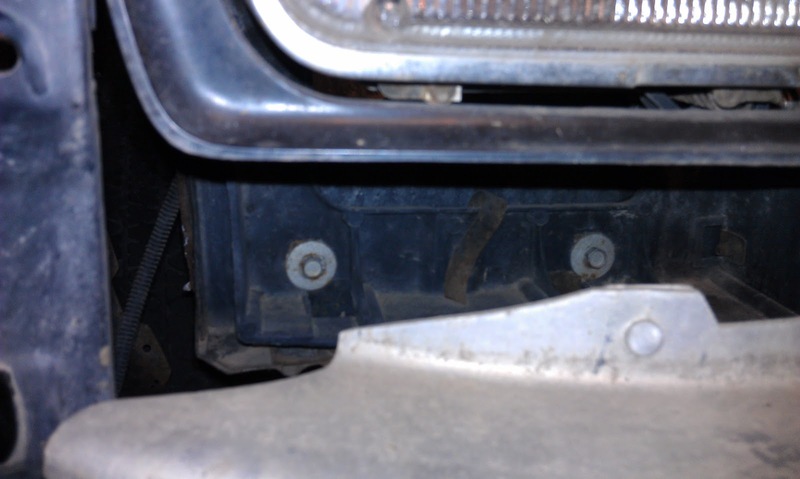 There was a relay mounted just behind the passenger side headlight. 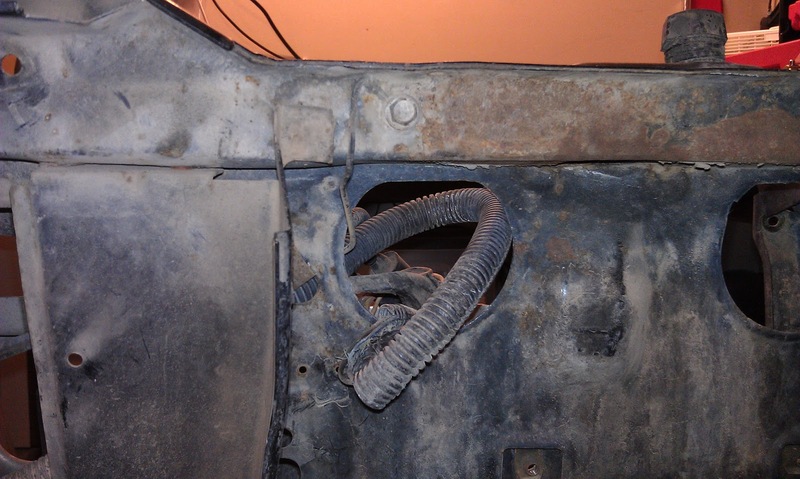 The headlight harness had a wire grounded to the frame with a screw. 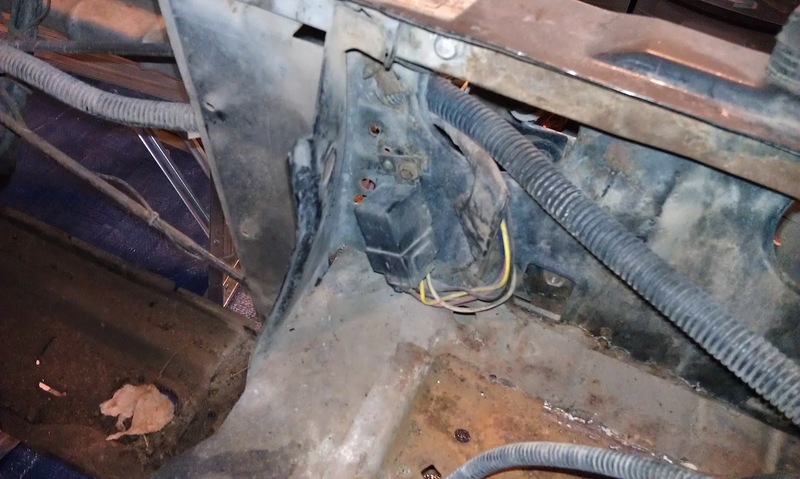 The same thing was done on the driver side. 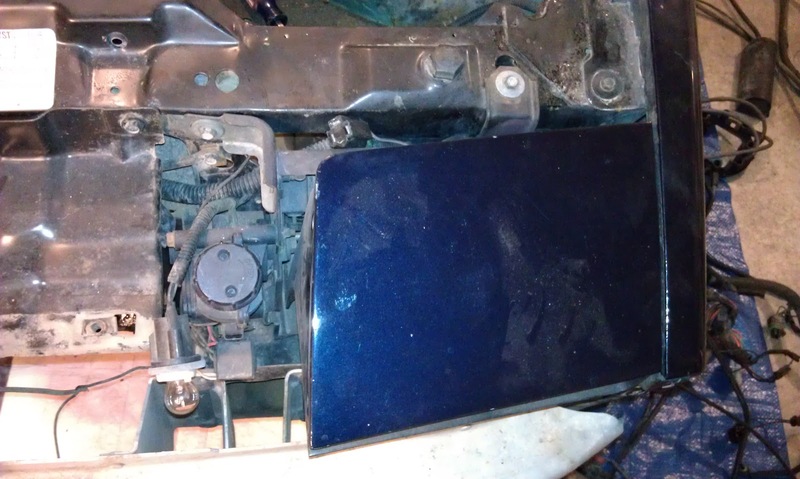 Here is what it looks like with the headlight harness removed. 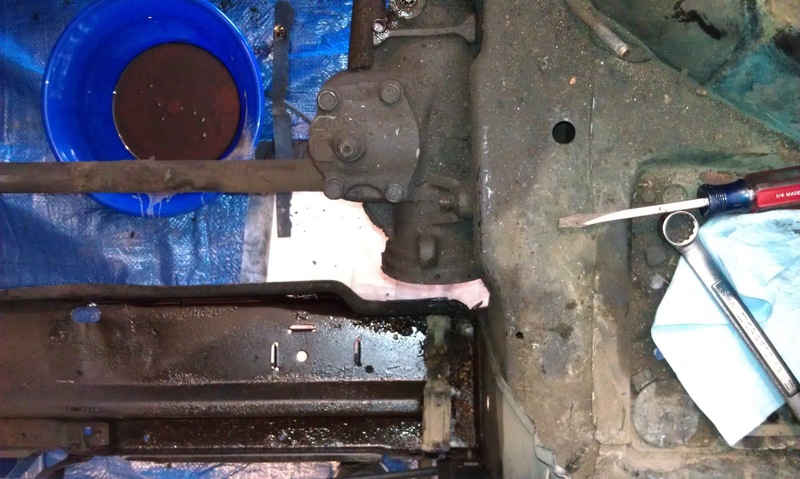 Next I disconnected and removed the power steering pump allowing the remaining fluid to drain into a bucket beneath the car.